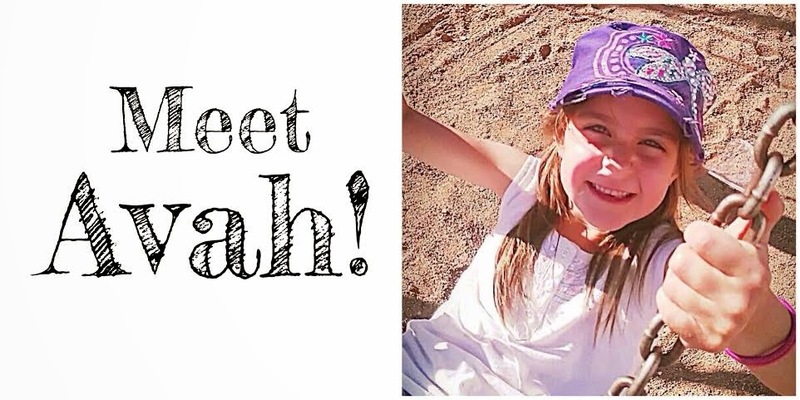 We are so honored to be teaming up with PS I Adore You to help raise funds for sweet Avah. She is 6 years old and as cute as they come. And she is a fighter! 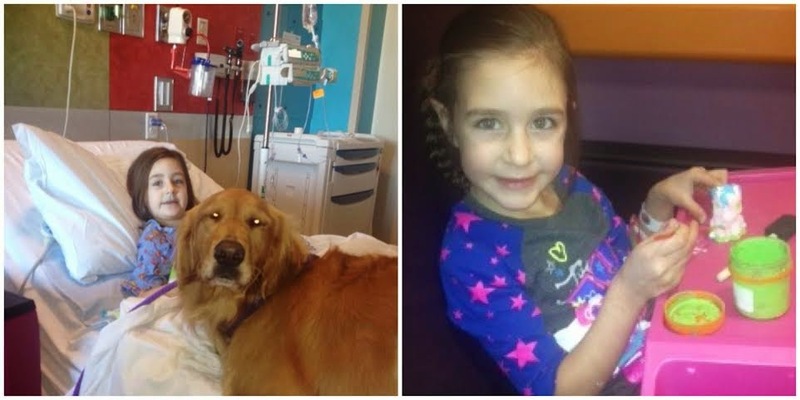 With a rare case of Stage-3 Pediatric Melanoma skin cancer, Avah’s story is shared below by her loving mom Joanna. First let me start off by telling you a little bit about our sweet Avah. She is such a blessing in our lives. She completed our family when she was born and she has brought so much joy to all of us. She adores her 2 older sisters, and she loves playing with them. She has always been a momma’s girl, she was and still is attached to my hip, my little sidekick. She loves her daddy and gets so excited every time he walks into the room. He is a super hero in her eyes. She has always been happy and smiling. Even through all of her trials she has always kept such a happy and positive attitude. She is the strongest person I know and she is such an amazing example to me and to anyone who has the privilege of knowing her. When Avah was 3 years old I noticed a mole on her scalp while I was fixing her hair. It looked like a normal mole, but I called her pediatrician to set up an appointment just to be sure. He looked at and said that it was a normal mole, but that we’d keep an eye on it. I always looked at it every day when I did her hair. It never changed. Every Doctor appointment she had, they made sure to look at it. 2 years passed, her pediatrician retired and she now had a new one. One day when we were at the park she was itching her mole. By this time she was almost 6 years old. I looked at the mole and sure enough it looked different. It was darker than it used to be. I don’t know if it just suddenly changed or if it did so slowly over time that I didn’t notice. Either way, I knew it looked different. It was also itching her, which was weird. She had never complained of it before. I called her pediatrician that day. We went in to see the doctor the next day. I told her what was going on and she looked up Ava’s history. She said that anytime a mole changes or starts itching that it should come off and be sent off for testing. She assured me that it was nothing to worry about since Avah was so young. She referred us to a plastic surgeon in town to do the removal of the mole. When we met with him he told me that the chances of it being anything other than a mole were slim to none and that it would probably be fine to just leave the mole there. I insisted that he remove it. 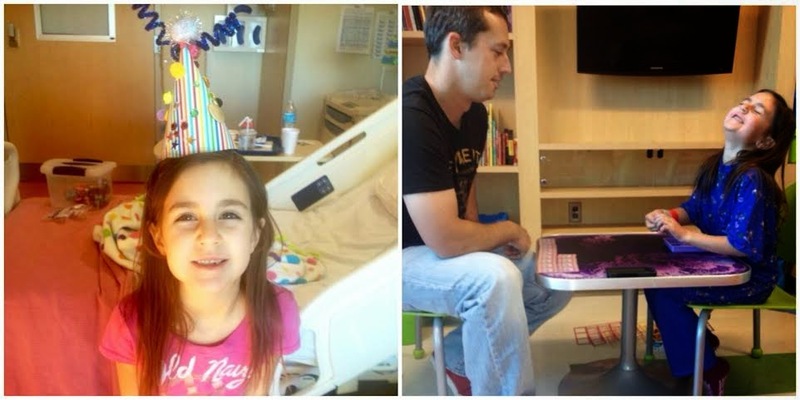 A few days after her 6th birthday started a roller coaster of good news and bad news, and a number of surgeries to remove the cancerous skin. Through out it all I wanted to be well-educated on pediatric melanoma and did all the research I could on it. I learned it was even more rare than I imagined. And the pediatric dermatologist told us at one point that Avah’s melanoma looked like one that had come off of a 60 year old, it was very active and very aggressive. We were so grateful she was in good hands with the amazing doctors at PCH. I continued to do did more research and we talked more with Avah and her sisters. 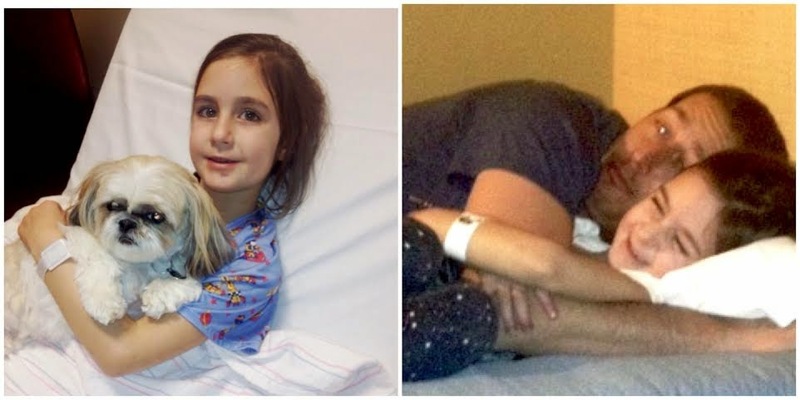 Avah remained the brave little girl she is, so did her amazing sisters. On November, 7th 2013 we received the phone call that forever changed our lives. The biopsy of the sentinal lymph node came back positive for melanoma. The cancer had spread! They wanted to see us in the office a few days later to discuss things further and to talk about treatment options. This news took me by complete shock. I had convinced myself that it would be negative. I cried for a long time in private, along with my husband. After I felt strong enough we broke the news to all three of our girls. They all took it well, especially little Avah. They all had so many questions of course. We answered them the best we could. I had to be strong, I could not let them, especially Avah see me cry. I could not let them know how utterly terrified I was and still am. Strength, love, and encouragement is what I decided to show them. The few days before the next appointment were the longest of my life! We had no idea what to expect. During these days of waiting I received a call from the pediatric surgeon’s office. His secretary said that the doctor wanted to see us in his office right after we talked to the oncologist. What? Why? She wasn’t due for her follow up for another week! I was sick to my stomach. They thought my baby needed another surgery. I just knew it. I didn’t understand any of it. I began to make a list of questions I had for both doctors. I added to the list whenever I thought of a new question or when friends or family had an idea for one. I tried my hardest to stay busy. I made sure that Avah felt comfortable talking about it and asking questions if she needed to. The day of the appointments finally came. 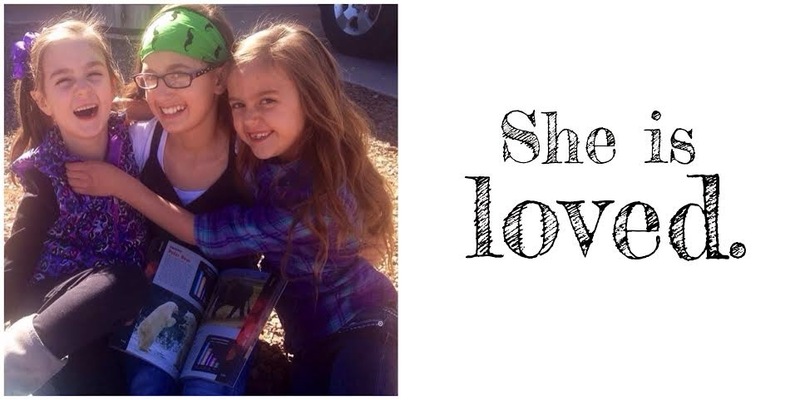 Her oncologist diagnosed Avah with stage 3 Melanoma. He told us that her chances of beating this are 75%. Of course, he is basing that on Adult statistics with melanoma since it is so rare for children. He talked to us about treatment–which would be a total of 1 year. The first 4 weeks of treatment would be in the hospital or clinic through infusion. After that, they would teach us how to give her injections of the medication, which would be done 3 days a week for 11 more months. My first question after he talked about treatment was, “What are the side effects of this medication?” He told me that the most common side effects are fever, nausea, chills, headaches, fatigue, any flu like symptoms. Some other side effects are hair thinning, vomiting, liver damage, and many other things. I felt so overwhelmed. Why did my baby have to go through this? He also told us that another surgery would need to be done. We had prepared ourselves for that, so it didn’t surprise me to hear him say it. When we left the appointment we had to remain strong for Avah. She will beat this! She is the strongest kid I know, she’s is a fighter! We had a talk with Avah before we headed over to the surgeon’s office. We made sure she understood what he would be talking to us about. She was sad that she would need another surgery. She didn’t understand why. How do you explain something so complicated to a child? It’s something that even I have a hard time wrapping my head around. Children should not have to go through things like this. During the months of November and December she had the surgery to get the lymph nodes in her neck removed and examined–they found 1 out of 24 that tested positive for melanoma. They hoped for 0, but 1 was the next best thing. Avah could beat this, and she would! We were going to make sure of it. The next procedure was having a picc line put in so she could get treatment, and then she was released to go home on the 23rd of December. We’d be home together for Christmas! It is so amazing how a community can come together in times like this. We were overwhelmed with people coming over with gifts for the girls and for us. People brought us so many gifts, they brought meals, the sang Christmas carols to us. It warmed my heart. Everyone wanted us to know that we weren’t in this alone, they were all behind us. That meant the world to us. It made Avah feel so special too, and I love that! She is so special and she needs to know that. We were due back in Phoenix on the 30th. This time it would just be Avah and I. Shane had to work and he wanted to spend as much time with our other girls as possible. Another week of treatment went by. She handled it amazingly again. They made sure she had plenty of activities to do on New Year’s Eve. She won over some new nurses and spread her contagious smile throughout the treatment floor. On the last day of week 2 my husband brought the other girls down to Phoenix to see Avah and I. We decided to stay down there for the weekend and do some fun things as a family. It was a great weekend! Avah and I were sad to see them all go back home. Since Avah handled the first 2 weeks of treatment so well, her oncologist said the next 2 weeks could be done out patient at the clinic. Avah was so excited not to have to be stuck in a hospital bed all week. We arranged to stay at the Ronald McDonald House for the 2 weeks of out patient treatment. The staff at the Ronald McDonald house were great to us. We appreciate what they do there. Once again, Avah handled week 3 and 4 of treatment like a champ. She suffered from a few minor side effects, but over all it wasn’t bad. She continued to amaze us with her strength and her positive, happy outlook. We are now at week 9 of injections. My husband and I do these at home. We do these 3 days a week. She has had a worse reaction with the injections than she did with the infusions. Fevers, acid re-flux, developing an ulcer, headaches, and it tired much of the time. Her oncologist recently reduced her dose of interferon, and we’re hoping it helps with her reactions. And through it all Avah doesn’t let it stop her and she’s back in school and doing great! The school has been so wonderful to her. They have been so understanding and they help out in any way they can. Avah still has a smile on her face and she continues to amaze everyone around her. Never in my life did I imagine that this would be happening to our family. I’ve seen other people go through similar things and I have always felt so sad for them. I remember always thinking that I would never be able to handle something like that. I wasn’t strong enough. I looked up to those people so much! Never did I think that I’d find myself on the other end. The day that Avah was diagnosed my Aunt who has been an absolute angel to our family through this told me something that has stuck with me. She said “Faith and fear cannot exist in your heart at the same time. You must choose which one you want to have in your heart.” I chose faith. We will get past this, Avah will be beat this, and we will all come out of this stronger. I am so blessed to have such an amazing support system–our friends and family have been so wonderful. What a wonderful thing it is to see so many people come together and be so kind. We have had total strangers help us in ways we never imagined. I will never be able to thank everyone enough. The small community we live in has been wonderful to us. Our town has really come together to help our family in any way they can. Avah has touched so many lives. I am so proud of the little person she is, her strength amazes me. We go down to Phoenix tomorrow morning for her first set of scans since the start of treatment. These will show us if the treatment is working the way it is supposed to. Last night as I was tucking her into bed she was asking me questions about the scans. Avah is always full of questions. She always likes to know exactly what is going on and exactly what is going to happen. I love that about her, she is wise beyond her years. I answered all of her questions then I asked her how she feels about it. She said, “I feel good. Nothing scares me anymore. It’s better to be happy instead of scared.” Just like that I was given a moment of clarity by my 6 year old daughter who is battling cancer. What an example she is to me every single day. So we are going into the scans tomorrow happy, not scared. She is right, happy is better. I have learned so much from her this past year. Even after all she has been through, she remains happy and upbeat. I hope by sharing her story it will inspire others. Thank you for reading Avah’s story! If you’d like to see the awesome products at PS I Adore You, go HERE. You will fall in love!